Gyrazor is an unreleased Super Assault Bakugan. He will be released in September or October 2010. Its design is like a Gyro sphere, and it seems to be a BakuCyclone Super Assault. It's feet open up like Glotronoid and Dual Hydranoid's. 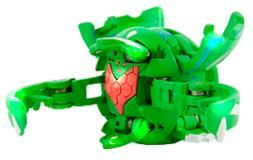 Purchase your Gyrazor Bakugan from Amazon now!